Washington state officials Saturday continued their condemnation of the Trump administration policy of separating children from their parents at the southwest border. 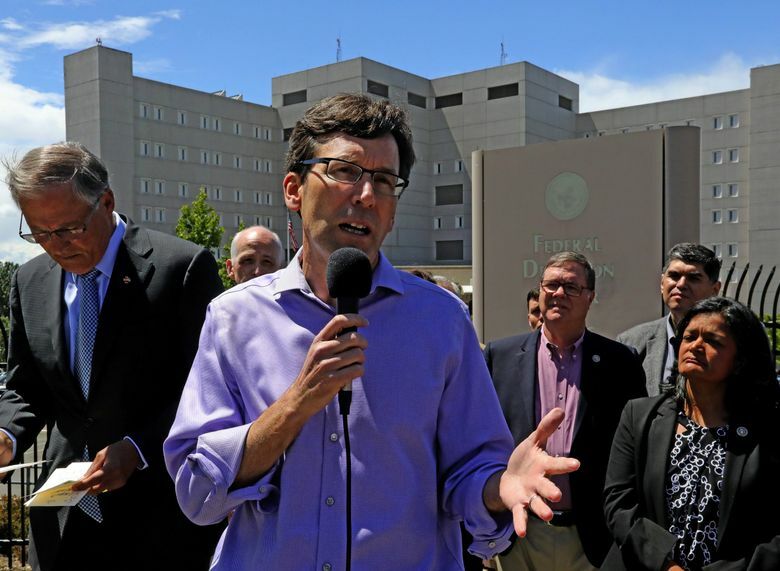 Attorney General Bob Ferguson left open the possibility of suing the government. 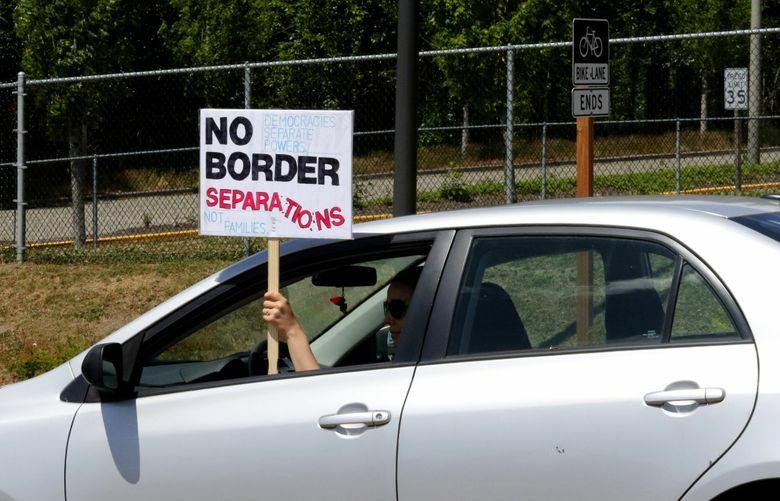 Hundreds of immigrant-rights activists and protesters chanted and waved signs outside a federal prison in SeaTac following passionate speeches Saturday from Gov. Jay Inslee and other top officials condemning the Trump administration’s practice of separating children from their asylum-seeking parents. 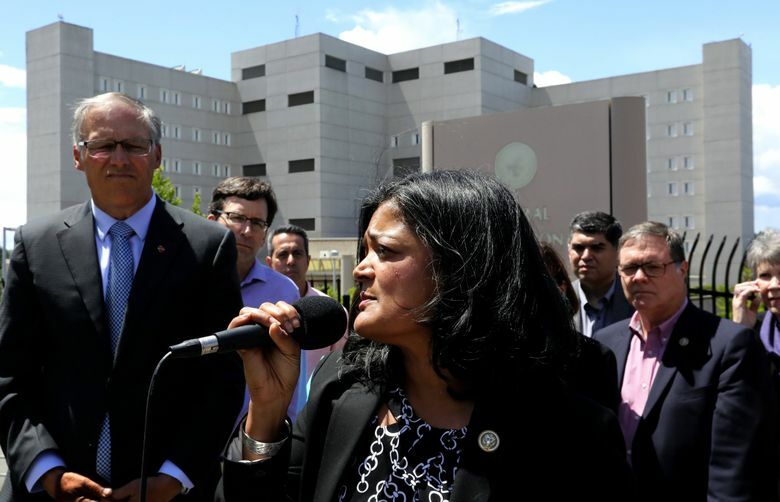 U.S. Rep. Pramila Jayapal, D-Seattle, had just met with the 174 women being held at the prison, most of whom came to the U.S. hoping for asylum and fleeing violence at home. Their children were taken away when they were apprehended at the U.S.-Mexico border or when they turned themselves in to petition for asylum, Jayapal said. One woman told Jayapal that she left El Salvador because gang members had shot two of her children. One child died and the other was paralyzed. 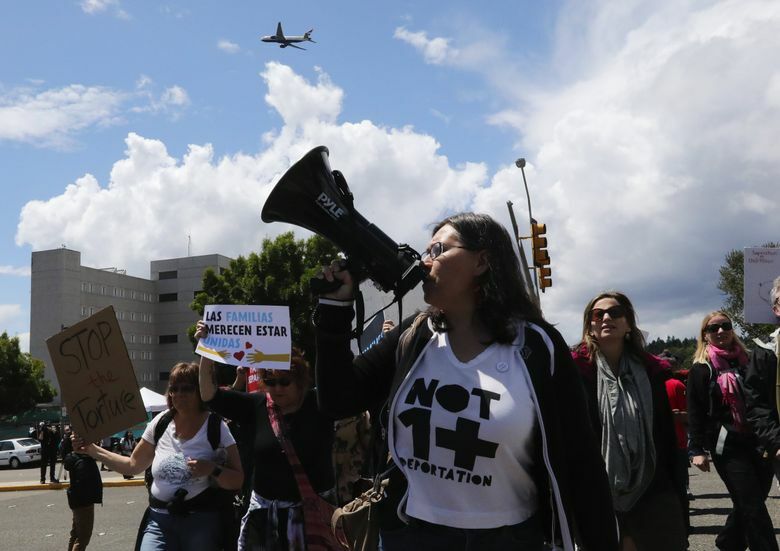 Other women described harsh conditions in facilities run by U.S. Immigration and Customs Enforcement (ICE) where they sometimes had no blankets or beds. Some of the women said they have been in custody for over a month. Children 6 years old and younger were taken from their mothers, Jayapal said. Jayapal said 32 men, whom she didn’t have a chance to meet, also are being held at the detention center under ICE custody. 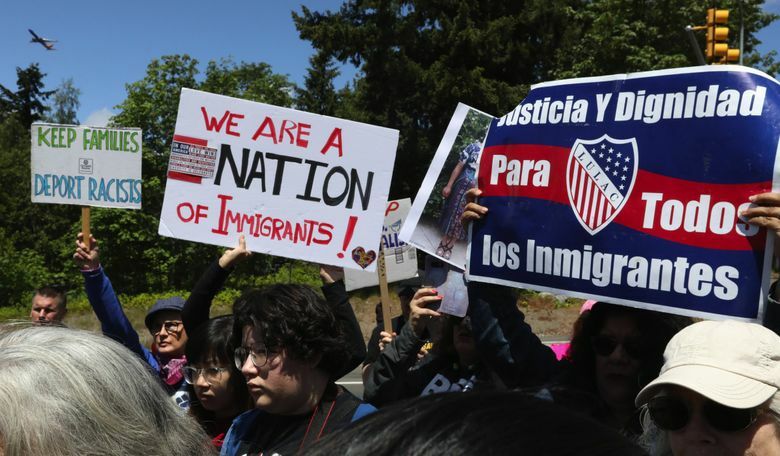 Washington Attorney General Bob Ferguson said his staff is studying the policy to determine if the state might have grounds to challenge it in court. Ferguson has filed or joined more than 20 lawsuits that seek to undo Trump administration policies — most notably taking the lead in blocking the president’s executive order halting travel from seven majority Muslim nations. A spokesperson for ICE did not respond to a request for comment, but previously told The Seattle Times the agency has an agreement with the SeaTac prison to house up to 209 people detained under a new under a new, “zero tolerance” crackdown announced last month by U.S. Attorney General Jeff Sessions. The crackdown, coupled with a surge in asylum-seekers at the border with Mexico, has overwhelmed ICE detention centers and led to the spillover into federal prisons. But federal laws and international treaties allow people to obtain asylum if they have a legitimate fear of persecution at home. Trump administration officials and their allies say the system is often abused and are seeking to tighten the standards. Jayapal said many of the women being held in SeaTac, who come from Cuba, Guatemala, Sri Lanka, Eritrea and a dozen other nations, never got a required interview to explain why they were afraid to remain in their own countries. Instead, they were processed through court in groups of 50 to 100. The practice of separating children from parents is facing a challenge from the American Civil Liberties Union. The case got a boost this past week from a federal judge in San Diego who ruled that the “wrenching separation of families” could violate a constitutional guarantee of due process for people legally seeking asylum. The administration has argued that when parents are held for prosecution, their children become unaccompanied minors and must be taken into protective custody. 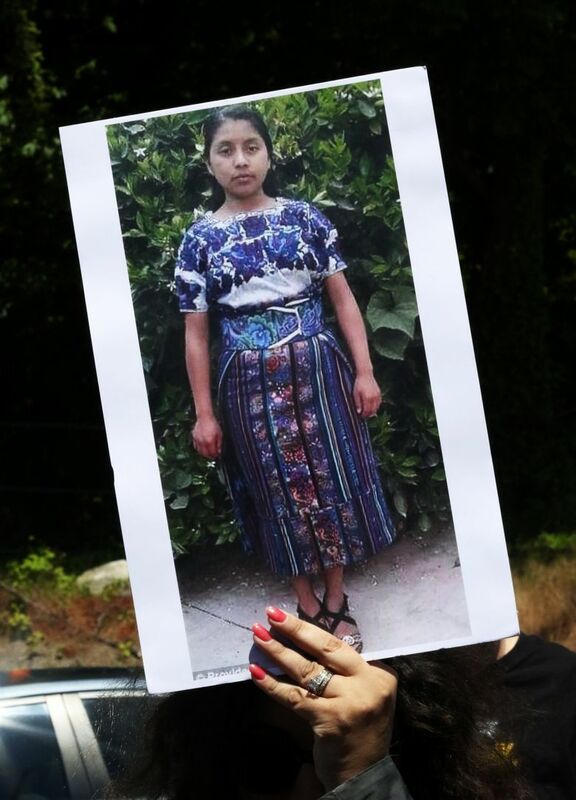 But the separations have drawn widespread censure, including from children’s advocates and the United Nations, because of the trauma they can inflict at an early age. U.S. Rep. Denny Heck, D-Olympia, said his wife’s mother and the mother’s younger sister were separated from their parents, ostensibly for health reasons, when the family emigrated to the U.S. from Italy in 1919. 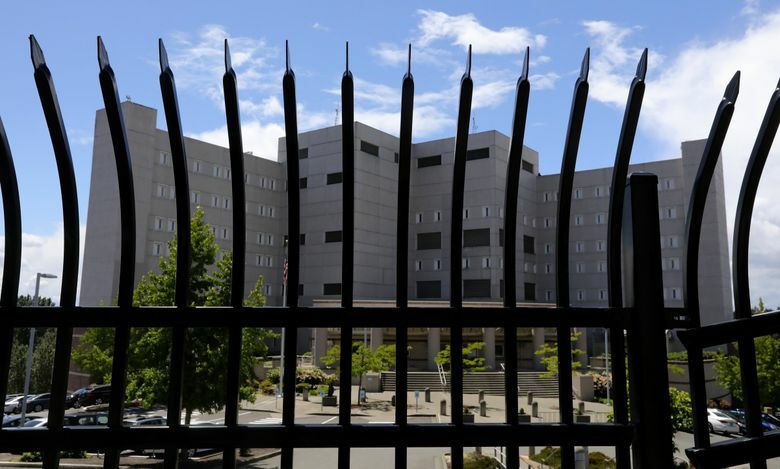 Jayapal said the prison warden has agreed to provide a list of all the ICE detainees. The next step is to put them in touch with representatives of the Northwest Immigrant Rights Project and other legal advocates, she added. ICE has been placing children separated from their parents in facilities and foster homes across the country. According to Ferguson’s office, the state has located at least six children within Washington and is trying to figure out how to reconnect them with their families. Inslee and Ferguson sent a letter Thursday to U.S. Attorney Annette L. Hayes, as well as officials with the SeaTac detention center and ICE, saying they have “serious concerns” about the treatment of the asylum-seekers here and asking for information about their circumstances. “The Trump administration’s new family separation policy is inflicting intentional, gratuitous, and permanent trauma on young children who have done nothing wrong and on parents who often have valid claims for refugee or asylum status,” the letter says. 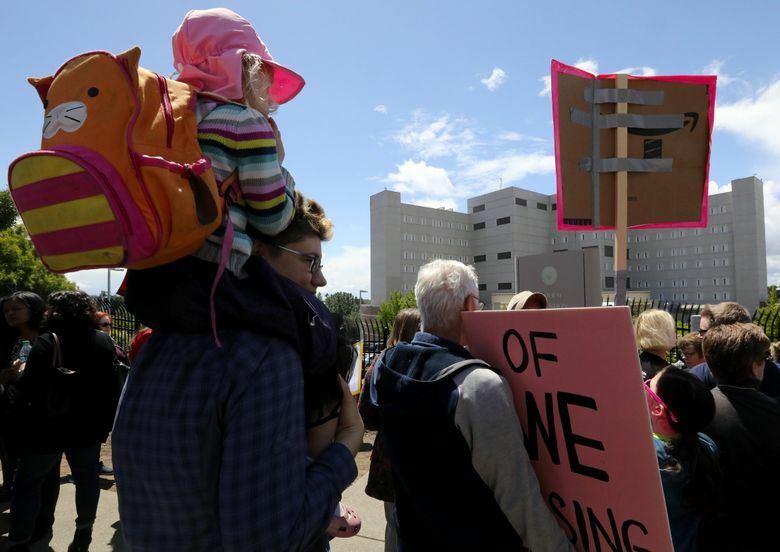 King County Executive Dow Constantine said he is seeking to block charter planes carrying asylum-seekers bound for the detention center from using the county airport, Boeing Field. Constantine said he has spoken to King County Prosecutor Dan Satterberg about what options the county has in the matter. Satterberg, who unlike the Democrats speaking out Saturday has long been a Republican, said last month that he is now a Democrat, adding he was “clearly not” a Trump supporter.